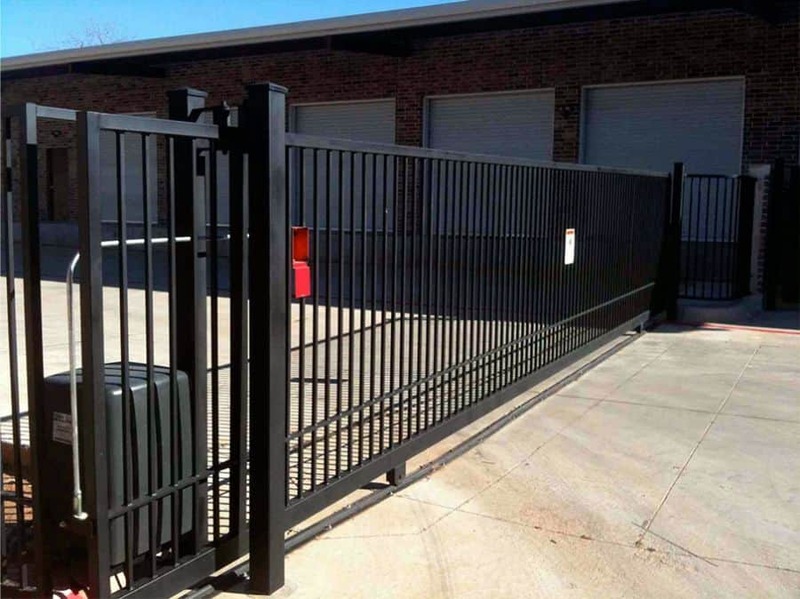 Commercial security gates keep your business safe from multiple threats including burglars, vandals, and even wild animals. When it comes to your business, you are going to want the highest grade gates to keep unwanted forces out. At Rustic Fence, we’ve been working hard since 1964 to provide Arlington businesses with the finest quality commercial gates so that they can always have confidence and peace of mind. Our commercial gates are produced using the strongest materials so that you don’t have to worry about any external threats. Our professional team will then install your gate with the highest standards in mind so that it keeps you protected for years to come. Our gates are made from a variety of sturdy materials depending upon the style you want. We customize each order so that your new gate will work for you while also fitting in beautifully with the surrounding area.Your security is our number 1 focus, and we will work with you to deliver a gate that exceeds your expectations. For over 50 years, we have worked with customer service at the forefront of our minds, and we constantly find new ways of innovating and perfecting our gates. Plus, all of our commercial security gates come with a strong warranty so that you never have doubts about its strength! Contact us for a free estimate.